Go Win Casino was launched in 2014 and has had a bit of a revamp in recent times. It is brought to you by Nektan, so anyone familiar with Nektan sites will know to expect a quality site, with a solid selection of games. At first glance, Go Win looks to fulfil this, so let’s take a more in depth look and see just exactly what it has to offer its players. When you first hit the landing page at Go Win Casino, there is no in your face theme as such; there is a very dark background and large graphics showing the slot game on which you can claim any welcome bonus spins. There is plenty of space and the lay out is not cluttered at all. Scroll down the page and you’ll find well layed out categories showing the latest promotions, new games, popular games, live dealer games and further information about mobile games and points to collect and earn as you play. Overall, the design is clear and welcoming and doesn’t feel claustrophobic like other sites can. Click on any of the game previews and you’ll be taken to a second homepage where there is a categories tab along the top making it easier to click into the section you want. There is also a scrolling banner along the top with various promotions, offers and welcome bonus information. 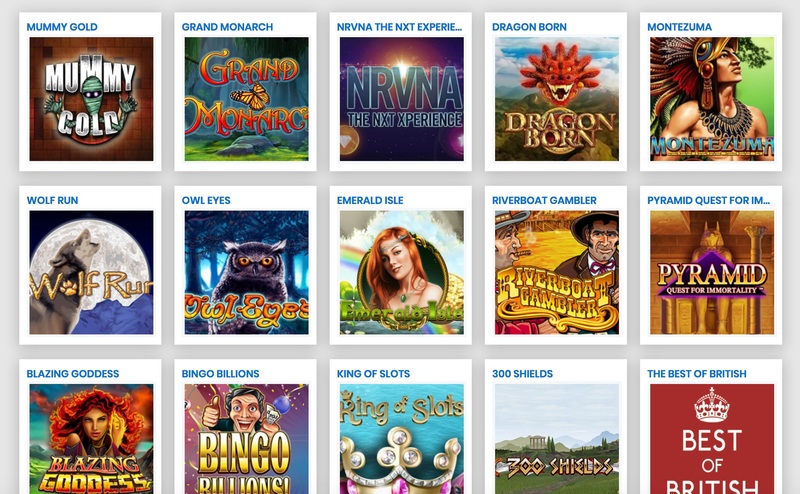 The list of software providers has increased since Go Win Casino was first launched. IGT, Lightening Box, Blueprint Gaming, NYX, NextGen, Realistic Games and the ever popular NetEnt are just a selection of software providers powering the site. Making a deposit to your account is pretty straightforward as Go Win accepts a large number of payment methods including: paying via Mobile, visa, mastercard, maestro, Giropay, iDeal, just to name a few. Go Win is licensed by the UK Gambling Authority and the Malta Gaming Authority, so from a safety perspective, players can feel reassured the site adheres to all the strict rules and regulations necessary to obtain licenses by these authorities. There is a loyalty / VIP scheme for regular players where you earn points as you play which can be exchanged for prizes as you build them up. Go Win doesn’t have a particularly unique theme or selling point to make it stand out from the crowd, but that isn’t to say it is a boring site; it’s not. It’s well thought out, easy to navigate, feel spacious and modern and all that is backed up by an impressive list of software providers and games. Go Win is certainly a solid contender that would appeal to both new players and experienced players wanting a reliable, trustworthy site.